Chiropractic adjustments are a set of various premeditated mechanical pushes on the spinal column to treat its associated dysfunctions. Chiropractic practices have been around for centuries to treat musculoskeletal complications. But in recent times, this alternative treatment method has been streamlined on a scientific basis to increase its effectiveness. The spinal column is the most fundamental component of the musculoskeletal system of the body. It literally supports the whole mechanical structure of the body. Aside from that, the entire nerve supply of the body passes through the spinal column. For that reason, a lot of physical injuries and medical conditions can adversely affect the spinal column. Similarly, a bad spine can also become an underlying cause of many health conditions. As mentioned earlier, chiropractic treatments are centered on the adjustment of the spinal column. This means chiropractic practices can be used to treat injuries and physical dysfunctions stemming from the spinal column. Modern chiropractors have mastered the art of chiropractic adjustments to make them effective against many physical woes. In this article, we will discuss all those injuries and conditions that a skilled and seasoned chiropractor can treat. In simple words, subluxation is the misalignment of one or multiple vertebrae of the spinal column. Subluxation often occurs due to any severe physical trauma. However, mild levels of subluxation can also creep in without any physical injury. For instance, a poor sitting posture can lead to slight misalignment of the true spinal column. This is why many times people are not even aware that they are suffering from subluxation. However, some revealing symptoms can tell you that you are suffering from vertebral subluxation and that it’s time to consult a good chiropractor. This is the most obvious sign of subluxation in which patients feel constant or intermittent bouts of pain in the back and neck regions. Tension builds up in a misaligned vertebra, and that eventually leads to the bottom of the head. Sudden headaches for no apparent reason are a sign of mild subluxation, and chiropractic adjustment is the right treatment for that. Pain caused by subluxation often spreads to the surrounding muscles, making them stiff and immobile. So, if you are experiencing muscle stiffness and back pain, there is a strong chance that you are suffering from subluxation. To get rid of all those agonizing symptoms, multiple sessions with a chiropractor can be of great value. They have the expertise to put the misaligned vertebrae back into their proper location with spinal manipulations. With each chiropractic session, you will feel that the debilitations caused by subluxation are withering away. Subluxation is not the only reason for back pain. There are various other physiological and anatomical complications that can lead to debilitating back pain. Let’s have a look at some of the most prevalent causes of back pain aside from misaligned vertebrae. • A bony lumbar region of the spinal column can lead to back pain. • A slipped disk in between vertebrae can lead to nerve damage that can also cause back pain. • Ruptured ligaments around the spinal column can also bring on pain in the surrounding body parts. • Spasm in lower back muscles and complications of internal organs in the region (e.g. kidney stones) can also cause back pain. Aside from a constant feeling of restlessness and discomfort, protracted back pain can be detrimental for human health for many other reasons as well. Therefore, it is important to commence chiropractic back pain treatments immediately. • Untreated back pain can set off an unhealthy weight loss issue. The affected individual can also experience bouts of fever. • Unrelieved lower back pain can also lead to the development of excretory incontinence, while numbness in the lower limbs also becomes common. • If back pain is left untreated, the pain can also creep into other parts of the body. In some instances, the pain even goes below the knees. As you can see, back pain can emerge for a variety of reasons. By taking good care of your back through regular chiropractic adjustments, one can experience substantial mitigation of all the detrimental upshots of back pain. A skilled chiropractor knows the techniques that help in the restoration of the health of the spinal column. It is important to note that chiropractic adjustments can also help in reducing muscle spasm around the spinal column by improving the blood supply and nerve function in the area. In short, one can have his back pain treated with the assistance of a chiropractor without relying on any type of medications. Injuries due to road accidents, no matter how minor or sizable they are, have a detrimental effect on the musculoskeletal system of the body. Even applying a sudden brake where you don’t apparently sustain any injury can leave you with whiplash. Following such seemingly minor road mishaps, affected people often complain about chronic pain in and around the spinal column. Treating such chronic pain with prescription medications is not an advisable treatment plan especially after what we have been witnessing with the ongoing opioid epidemic in this country. Chronic pain in the spinal region following a road accident can be treated through chiropractic adjustments. 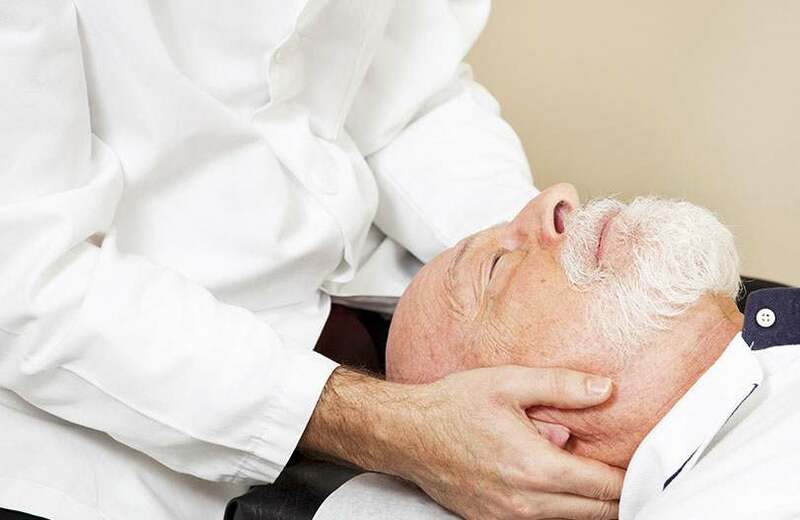 Chiropractors are trained to do spinal manipulations to neutralize the detrimental effect of whiplash and any sudden shock in the affected area, without banking on the use of drugs that always come with certain side effects. In the case of any severe road accident that results in temporary physical disabilities and an extended period of hospitalization and surgeries, chiropractic adjustments can play an integral role during the recovery phase. Receiving regular spinal adjustments from an expert chiropractic hand is proven to expedite the pace of recovery. There are some chiropractic adjustments that provide instant relief to the pain of an injury caused by a road accident. Pain is a telltale sign of injuries and diseases. It is actually an inherent physiological signaling to notify the person about the ongoing anomaly in the body. With the healing of injuries and diseases, pain also diminishes with time. However, in some instances, pain lasts for an extended period of time. This long period of throbbing and hurting is classified as chronic pain. According to different medical studies, any bodily pain lasting for more than 12 weeks can be termed as chronic. Migraine is classified as a headache disorder. But it is way more debilitating than regular headaches. In most cases, migraine affects one half of the head. Migraines episodes can last up to three days. There is no definite treatment that exists for migraine because its underlying causes are still unknown. However, a few scientific studies have suggested that migraines are caused by abnormal brain activity and brain function. Therefore, chiropractic treatments can be attempted for alleviating the throbbing pain caused by migraine. The nerves in the body can get pinched due to many internal and external causes resulting in different neuropathic conditions. In medical terms, this condition is referred to as radiculopathy. At first, a pinched nerve doesn’t really bother the affected person. However, as time passes, radiculopathy results in numbness in the affected area. In some instances, a pinched nerve also gives way to chronic pain. In rare cases of radiculopathy, a person can lose control of certain muscles because their poor nerve connections made them weak. For that reason, it is important not to take the condition lightly. Apart from consulting your general physician, it will be helpful to schedule some chiropractic treatment sessions too. Carpal tunnel syndrome is a condition highlighted by immobility, numbness, and a tingling sensation in the wrist and fingers due to compression of the median nerve. Since the median nerve originates from the spinal column, chiropractic adjustments can help in treating carpal tunnel syndrome. Aging is a natural phenomenon. No matter how healthy of a daily routine we have, aging eventually catches up. Osteoarthritis is a condition where the affected person starts to experience wear and tear of bones and joints due to age. A weak musculoskeletal system is more vulnerable to pain and inflammation. But regular chiropractic sessions can help in reducing the effects of aging. The piriformis is a muscle located in the buttock region above the gluteus maximus. Not all muscle spasms disturb the delicate nerve network of the body. However, muscle spasm of the piriformis is different and therefore classified as a syndrome. Aside from inflicting regular physiological trouble, it also compresses the sciatic nerve passing through the area, resulting in numbness and tingling in the lower limbs. Extreme instances of piriformis syndrome can completely restrict the movement of the affected person. Nerve adjustments from an expert chiropractor are effective in treating this complex muscle spasm. For all those wondering why they have to go to a chiropractor for the treatment of medical conditions that can be treated through conventional healthcare, we are providing here two reasons worth noting for getting chiropractic adjustments. We all are well aware of the fact that conventional medical treatments are decked with side effects. The use of prescription medicine certainly can treat a disease, but it also leaves unwanted effects on the body. For instance, regular use of certain prescription medicines can cause stomach ulcer. Similarly, some prescription medicines are known to cause kidney stones. On the other hand, chiropractic adjustments don’t require the ingestion of any chemical. They involve a purely physical treatment that provides relief to the affected patient without bringing along any detrimental side effects. Spinal manipulations that are part of chiropractic adjustments actually address the root cause of the medical condition. This means they are more effective and direct in treating an injury as compared to traditional medical treatments.